Replacement for Beocord VHS 90. 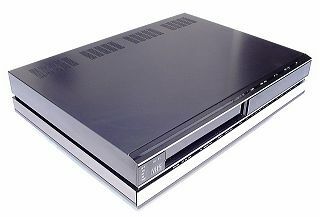 Very similar to the VHS 66, has 8 hour audio only and simulcast modes, but as with Beocord VHS 66, linear sound is only mono, though Dolby circuits are included to keep it compatible. The disc carries a total of 5 heads, so an excellent still picture can be displayed. A Datalink adapter is included as standard, making the VHS 91 an excellent addition to Beosystem 5000, so that the video recorder functions can be controlled from Master Control Panel 5000, either locally in any room fitted with a Master Control Link unit. Text copyright © Beocentral. Unauthorised reproduction prohibited.